You have lots of little trips coming up. You have a long weekend planned for Presidents’ Day. You’re taking a much-needed spring break in March. Then you’re going to visit family for Easter in April. Though you’re looking forward to each of these trips, you’re already thinking beyond them. You really can’t wait for your vacation this summer. On Memorial Day weekend—the start of your summer, even if the calendar doesn’t agree—you’re heading to Greece. You’ve island hopped there before. Each one of the Aegean, Dodecanese, and Ionian Islands is more beautiful than the last. Surprisingly, the islands aren’t on your itinerary this time. Instead, you’re going to explore Thessaloniki, Greece’s second-largest city, before heading south to the Sithonia peninsula. 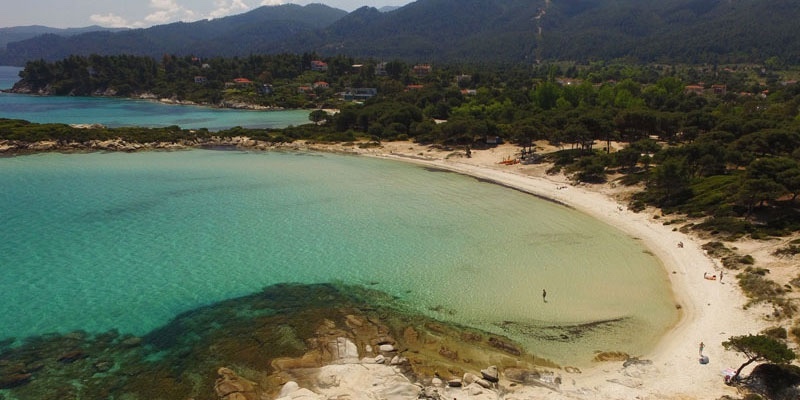 The Sithonia peninsula is one arm of the larger Halkidiki peninsula. It’s surrounded by the Singitic Gulf to the east, the Toroneos Gulf to the west, and the vast Aegean Sea to the south. Mount Itamos is the peninsula’s highest point. Thick forests, small vineyards, and rocky beaches surround it. An ancient city, historic churches, and safe natural harbors are there, too. Your focus is Vourvourou, a little village on the east coast. There’s admittedly not much to see in Vourvourou. Unlike most Greek villages, it doesn’t have a central square. There are few year-round residents. While most of the hotels, the shops, and the tavernas are seasonal. There is a little chapel, Panagia, where red benches extend the seating outside. A quiet national park lies to the south. But they’re not the reasons you’re traveling to Vourvourou. You’re going to see one of the most breathtaking beaches in the area, if not the country. That beach is Karidi. It has pure white sand and calm, clear water. It’s bordered by pine trees and the scent of lingering jasmine. Little rocky islands lie just offshore. While a small, whitewashed hotel is just a short walk away. If you could create your perfect hotel, it would look a lot like Ekies All Senses Resort. With those whitewashed walls, lots of outdoor living space, and ocean views from almost every nook and cranny, there’s no doubt you’re in Greece. It’s modern, minimal, and a bit hipster, as well. Suites have daybeds and Greek blue accents. The cabana spa is surrounded by an herb garden. The chef, who worked at a Michelin-starred restaurant, uses freshly caught fish and local ingredients in his adventurous dishes at Bubo. Be sure to try all of the different honeys at breakfast. Plus pillowed-filled lounges, a peaceful pool, and a rustic beach bar all overlook a private little beach. 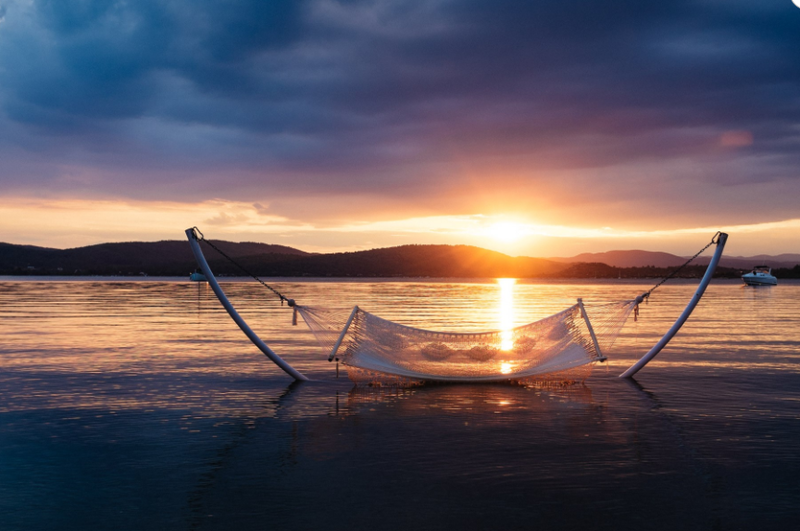 You plan on spending your first evening in a hammock strung over the water with a glass of ouzo as the sun sets. Summer can’t come soon enough.